Pop princess Taylor Swift's love story begins with her fans. The 20-year-old "Love Story" singer was selected by newspaper editors and broadcast producers for the honor after she skyrocketed to fame, earned a bevy of awards and at one point had eight songs on the Billboard Hot 100 chart. "I am so honored and so excited," Swift told the AP. "This was so unexpected, and I could not be more grateful." 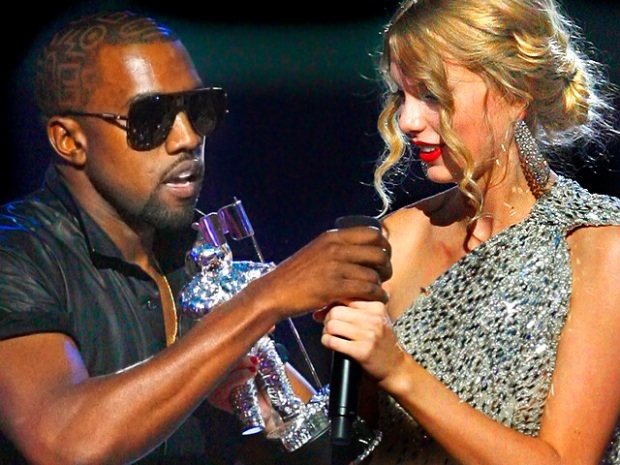 The singer was thrust into the limelight after she was accepting the award for best female video when Kanye West leapt on stage and interrupted her speech, sparking a media firestorm. She belted out tunes from her album "Fearless" during her sold-out, 52-city tour across North America. She went on to win album of the year from the Country Music Awards and the Country Music Association Awards. Swift won artist of the year at the American Music Awards and performed at the Grammys. She also hosted "Saturday Night Live." "That entire week was life-changing, honestly," Swift said after taping the venerated late-night comedy show. "It makes you feel so thankful to be a part of the music industry, but more than that, to me, 'SNL' is show business."